Minimum quantity for "126 piece tray jigsaw puzzle" is 50. Nothing stays in a person’s memory like a message delivered excitingly or extraordinarily. Tray jigsaw puzzles are to make an impact precisely. 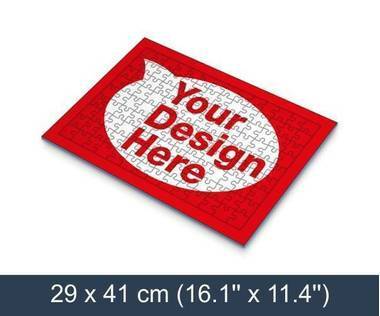 Deliver your marketing message to your customers with a tray jigsaw puzzle – a memorable way to make your company exciting, dynamic and customer-oriented. PuzzlesPrint offers you a brand new type of advertising material so you can surprise both current and potential customers.